Want to sing with a group of dynamic people? 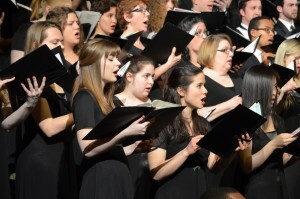 Join Case Concert Choir and share in the excitement of making music together! Repertoire for the 2018-19 season will include music from a variety of historical and stylistic contexts. 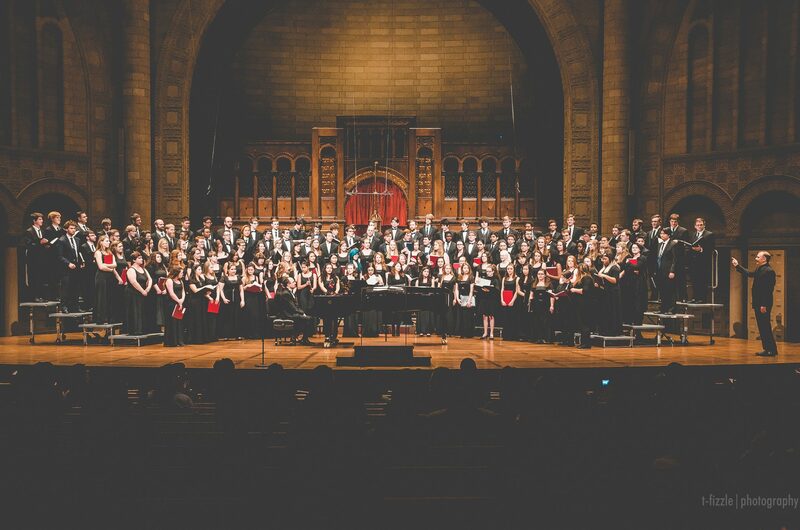 The Case Concert Choir is an auditioned mixed-voice ensemble with a focus on performing both a cappella and accompanied choral music from a variety of time periods and genres. 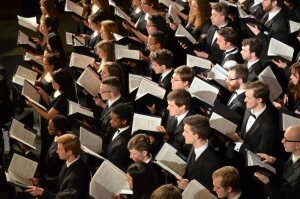 In addition to shorter pieces, the ensemble also performs larger works of choral-orchestral repertoire through collaborations with the Case University Circle Symphony Orchestra and our University Circle neighbor institutions (Mozart Requiem, 2011; Vaughn Williams Toward the Unknown Region, 2012; Haydn Schöpfungsmesse, 2013; Bernstein Chichester Psalms, 2014; Beethoven Meeresstille und glückliche Fahrt, Haydn Te Deum and Mendelssohn Magnificat, 2015; Duruflé Requiem and Quatre Motets, 2016; Handel Coronation Anthems, 2017; Rutter Mass of the Children, 2018). 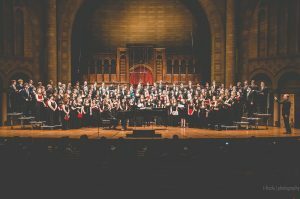 Concert Choir will collaborate with the Church of the Covenant Chancel Choir during the fall 2018 semester to celebrate the 100th anniversary of Armistice Day. 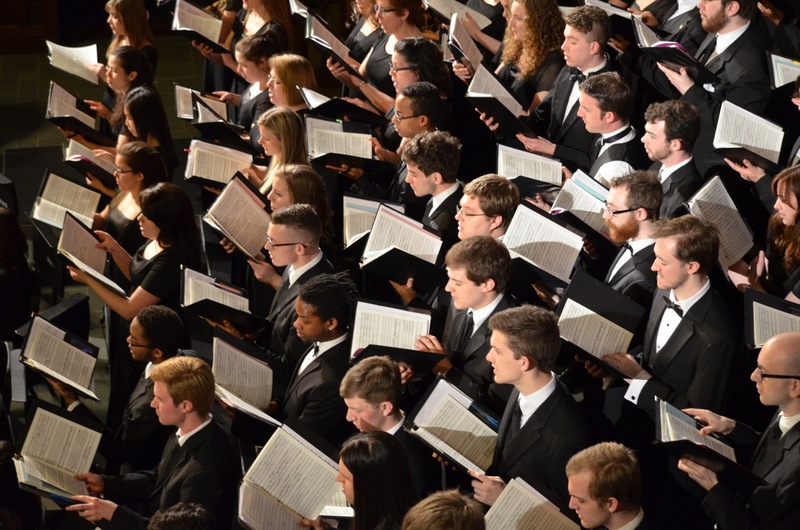 In spring 2019, the CWRU Choral Showcase will feature special guests from Kirtland High School, along with Concert Choir, University Chorale, and Case Men’s Glee Club. 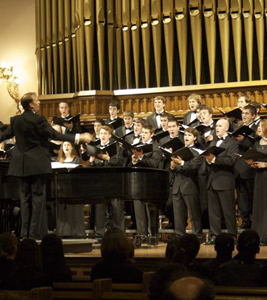 Case Concert Choir was originally founded in 2004 as part of a University Presidential Initiative to support the Arts, Humanities, and Social Sciences. 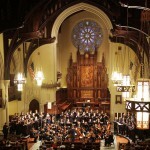 The ensemble is open to any undergraduate or graduate student at CWRU or CIM. Members may choose to participate in the ensemble for 0-1 credit (MUEN 382). Auditions are held during the first week of classes each semester. Please see below for additional details. 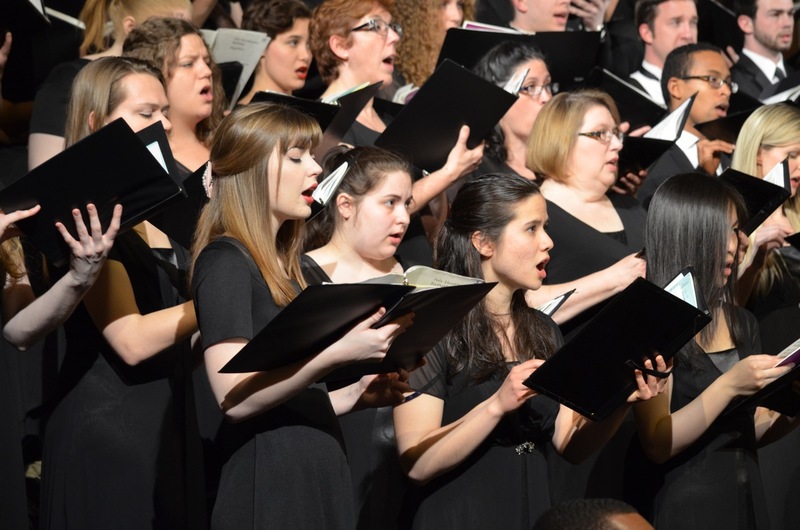 Faculty, Staff, and University Circle Community Members wishing to sing during our annual Circle Fest Carol Sing in December are welcome to join us through the University Circle Festival Chorus! Rehearsals are held Monday evenings, starting at specific times during the semester. Individuals interested in singing this fall should contact Dr. Peters directly for additional information: mpeters@case.edu, (216) 368-2411. 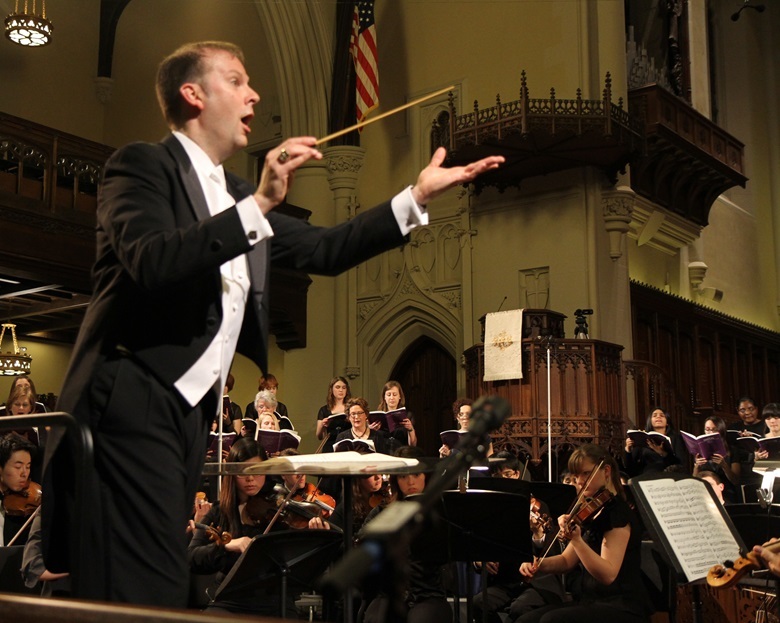 CCC auditions for spring semester 2019 will take place during the first two weeks of classes in Harkness Chapel. All students wishing to participate in Concert Choir must audition (except folks who participated during the fall 2018 semester). Course registration permission will be granted at the end of the first week of classes and will continue through the add-drop period for new members. Students must be registered for MUEN 382 in order to participate. Singers from all majors, both undergraduate and graduate levels at CWRU and CIM, are welcomed and encouraged to audition! Contact Dr. Michael Peters to schedule an audition. Interested students are also welcome and encouraged to attend open rehearsals through Wednesday, January 23, 2019. Click HERE to complete a form before your audition. Auditions will continue through the add-drop period. Contact Dr. Peters for more information: mpeters@case.edu. 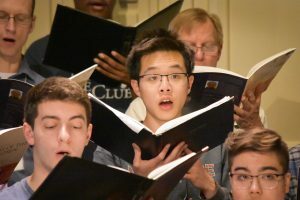 The audition process for Case Concert Choir is designed to let the director get to know you and your singing ability in a short amount of time. 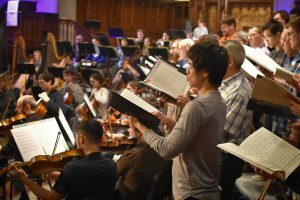 If you take some time to prepare before your audition, take a few deep breaths before your appointment, and sing to the best of your ability, you can leave feeling good about the meeting! Please take a moment to review the audition requirements. Contact Dr. Peters for an audition date and time. Remember to arrive a few minutes early to your audition time. Audition forms are available online and can be completed anytime prior to your audition. Dates, times and venues are subject to change. Please check this page to confirm details before attending an event.